Britain is leading a new international network, which includes the United States, Canada, Australia and New Zealand, which will help nations protect themselves from exotic animal diseases. It will link thousands of scientists across the world, allowing them to exchange research, establish common goals and collaborate on developing future controls. It will also underpin early warning systems by identifying what emerging diseases are being picked up abroad. The network was launched this month, with nations recognising that increasing global movements of animals, people and food have raised the risk of animal diseases spreading to many countries. The network will help nations protect themselves against the likes of avian influenza, foot and mouth disease, and African horse sickness - the latter seen as a major potential threat to Britain's horse industry. Britain's Department for the Environment, Food and Rural Affairs (Defra) is leading the network, funded by the European Union. 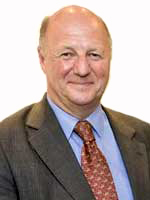 British Agriculture and Food Minister Jim Paice said: "In this modern age of globalised trade and travel the risk of animal disease entering the UK is greater than ever. "We already have comprehensive international surveillance and outbreak plans, but we must prepare for the challenges in five, 10 and 15 years' time. "Countries acting on their own just don't have the resources to research every disease, all of the time, so sharing resources like this will get us maximum protection and value for money." The €1 million EU-funded network will include Canada, USA, Mexico, Argentina, Brazil, China, India, Japan, Australia, New Zealand, Russia, Italy, Germany, France, Spain, Denmark and the UK. It is divided into three regions - the Americas, Asia and Australasia, and Europe - and surrounding countries are expected to feed in. It is hoped an Africa region will follow. The network, which also involves the Biotechnology and Biological Sciences Research Council, will also help to develop control measures for current problems such as tuberculosis and drug-resistant parasites. It is estimated that 75 per cent of emerging animal diseases can be transmitted to humans, often from wildlife via livestock. The network will allow information to be shared more quickly on conditions that affect humans such as nipah virus infection - a virus related to Hendra which can infect horses and humans in Australia. The global network will also help improve the health and productivity of animals through hastening the development of improved control methods for existing diseases. Britain's chief veterinary officer Nigel Gibbens spoke enthusiastically of the network: "Global co-ordination of our animal disease research efforts will help ensure that new technologies, such as diagnostic tools, vaccines and new treatments, are identified and put to work as quickly as possible to make a real difference to the health, welfare and productivity of livestock." The network will also link up with the pharmaceutical industry to identify what products they would be prepared to make so that scientists can base research around a solid end product.